The current-generation TLX sedan made its debut at the 2014 NYIAS and its back in a new and unusual form, Acura announcing plans to hand-build a limited-edition model, the TLX PMC, at the same craft-build center currently assembling the NSX supercar. 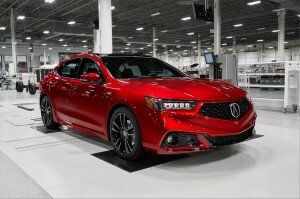 Priced around $50,000, it will feature a high-performance version of the marque’s VTEC V-6 and the Acura Super-Handling All-Wheel-Drive system. Audi’s compact family mover gets a second-generation makeover that’s longer, lower and wider, 3 more inches of wheelbase translating into a roomier interior. It will also feature an array of new technologies, including a digital gauge cluster, an upgraded infotainment system and more advanced driver assistance systems. Power will come from a 2.0-liter turbo-four going to either the front wheels or all four. 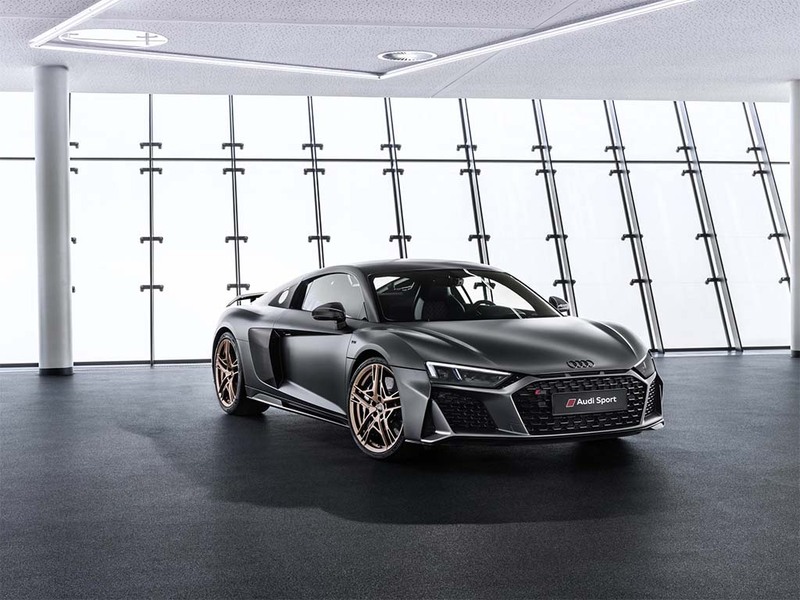 The German luxury brand will mark the 10thanniversary of its R8 supercar in several ways: all versions will now be able to top 200 mph, for one thing. The R8 line will also get a special edition, the Decennium, of which only 50 copies will come to the U.S. market. 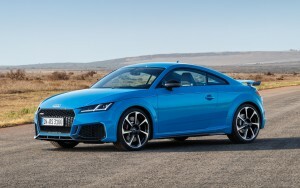 With unique details, like brass wheels and intake manifold, it will be the first Audi to cost more than $200,000. Who says sports cars are a dying breed? Not Audi. 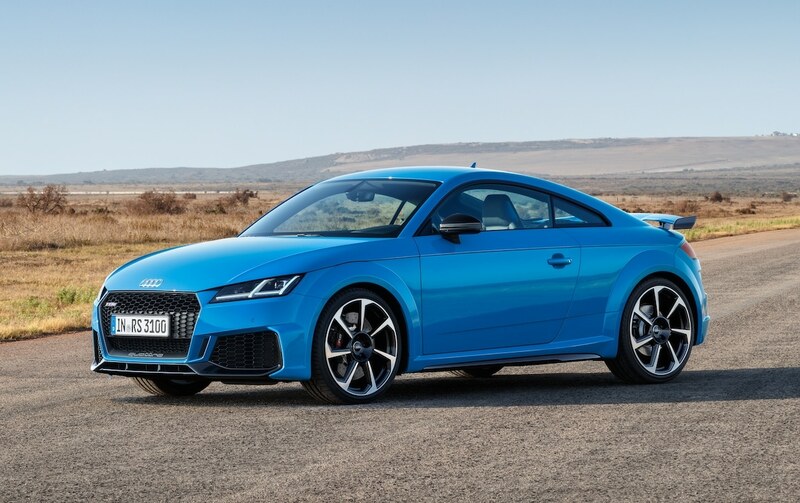 The tire-spinning Audi TT RS will get a mid-cycle makeover, with new exterior details like a matte black Singleframe grille with distinctive Quattro script. The updates are more than cosmetic. For one thing, there are new lateral air inlets enhancing the car’s stance – and breathing – with added radiators to keep things cool under aggressive driving. 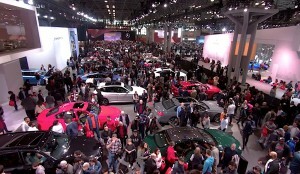 The NYIAS routinely features some of the world’s most exotic automobiles, and this year is no exception. 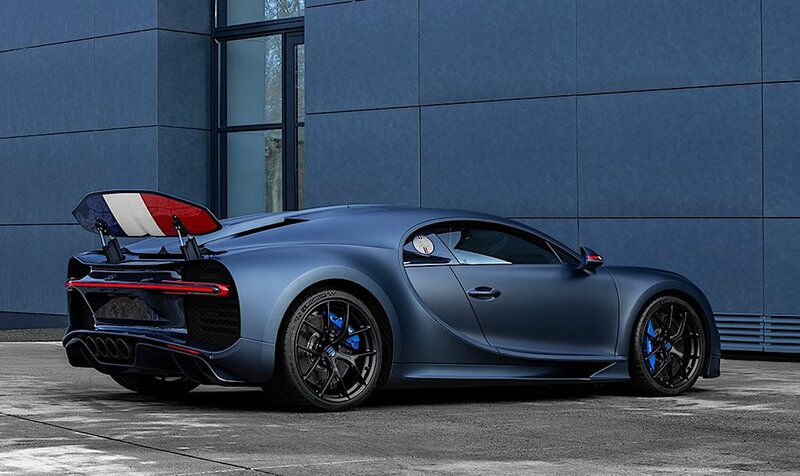 Bugatti’s latest special edition, meant to mark the marque’s 110thanniversary, will cost somewhere around $4 million. Though Bugatti is owned by Germany’s VW, it loves to emphasize its roots by, among other things, incorporating the French tricolor on the model’s mirror caps of the 110 ans. 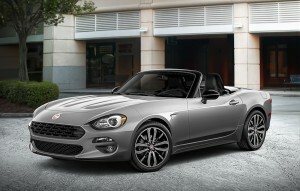 New convertibles are on the decline, but Fiat is ready show off the new 2019 Fiat 124 Spider Urbana Edition, which carries on the brand’s classic soft-top tradition. With the most powerful four-cylinder turbo engine in its class, our Italian-designed Fiat 124 Spider offers an authentic top-down roadster experience with fun-to-drive dynamics. 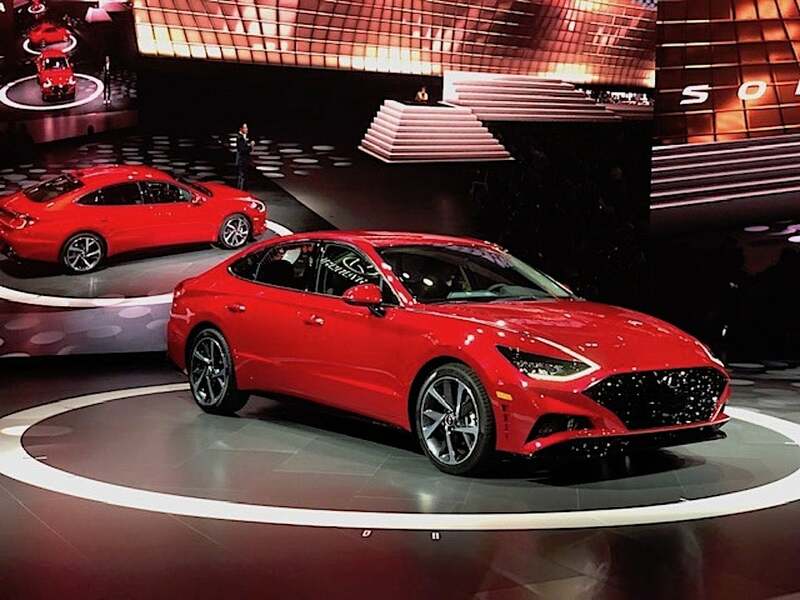 The automaker’s home market show got a jump on the Big Apple earlier this month with the debut of the Sonata 1.6 Turbo model. But what we didn’t see in Seoul was the U.S. edition of the familiar midsize sedan. The new model is longer, lower and wider, with the added wheelbase yielding more interior space. The styling is more aggressive and the overall push is to take Sonata more up-market. After years of rapid growth, Hyundai sales hit an unexpected speed bump a couple years ago due to a lack of a competitive CUV line-up. Hyundai is rapidly addressing that with models like the big Palisade, the compact Kona and, now, its smallest-ever crossover, the Venue. The new model was clearly influenced by Kona, in terms of interior and exterior styling. Expect the platform to be shared by Kia. While SUVs and CUVs may be taking over the U.S. market at a rapid pace, there’s still a sizable market for classic, three-box models like the Infiniti Q50. Nissan’s luxury brand drew inspiration from its competitors that are offering sportier versions of their sedans. Powered by a 300-horespower VR-series3.0-liter twin-turbo V-6, it also gets 19-inch bright alloy wheels as well as front and rear fascias. Jaguar is aiming to broaden the appeal of its compact sport sedan by adding two new special editions. That includes the 300 Sport, with its 296-horsepower turbocharged-four engine, as well as the Landmark Edition, which features a distinctive front bumper, 18-inch alloy wheels and some unique interior details. The smaller of the two Korean carmakers has been mum about U.S. plans for the subcompact crossover concept it revealed in Seoul earlier this month, but it is widely expected to appear sometime this coming year as Kia’s base CUV. It shares the same platform as the Venue, the small crossover sibling brand Hyundai is debuting in New York. Several alternative name options have been floating around. The Swedish carmaker is again pushing the limits with the new Jesko by punching out 1,578 hp and 1,160 lb-ft of torque, making it one of the world’s fastest and most powerful vehicles, with a top speed claimed to reach around 300 mph. Named after the father of the company’s founder, it is envisioned as more of a grand tourer, with more precise handling, than the current Koenigsegg speed king, the Agera. Fiat Chrysler’s Maserati brand aims to burnish its image as the producer of rare and exclusive vehicles by launching a new program, dubbed One of One, that will allow customers to extensively customize their vehicles. Not surprisingly, the customization program will begin with the debut of a special Levante SUV featuring an exclusive Pelletessuta interior designed by Italy’s fashion house Ermenegildo Zegna. The A-Class is now the new entry-level model, replacing the CLA. However, its AMG model boasts the same 2.0-liter inline four putting gout 302 hp and 295 lb-ft. of torque. It’s just a tick slower than the CLA, making the sprint from stop to 60 mph in 4.7 seconds using a seven-speed dual-clutch automatic gearbox and distributed to all four wheels using an AMG-tuned version of the Mercedes 4Matic system. The new CLA was introduced at the Consumer Electronics Show in January, and observers knew it wouldn’t be long until the AMG version showed up. It doesn’t just show up, it kicks the door down with a twin-scroll turbocharged 2.0-liter inline-four making a peak 302 horsepower and 295 pound-feet of torque. The result is a 0-to-60 time of just 4.6 seconds. 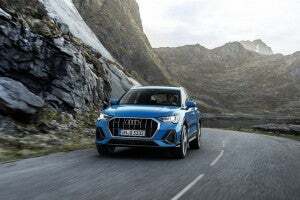 Mercedes-Benz continues to reshape the definition of a coupe with the introduction of the new 2020 GLC coupe that is almost more sport-utility than it is car. Available with a new and enhanced 2.0-liter inline-4 turbo engine capable of 255 horsepower and 273 pound-feet of torque. However, it’s on the inside of the new coupe where Mercedes really shines with its new “Hey Mercedes” interactive system, which can access everything from climate controls to navigation to satellite radio. The Japanese automaker also got a jump on the NYIAS by revealing the Versa last week at the Tortuga Music Festival in Ft. Lauderdale, but this will be the first real public showing of what is one of the market’s most affordable offerings. The third-generation four-door gets a new look and more features as Nissan hopes to head off the continuing shift of buyers from sedans to SUVs and CUVs. The Pininfarina Battista could help change the way people think about battery-electric vehicles considering its 1,900 hp drivetrain – developed by Croatia’s Rimac – can hit 300 kmh, or 186 mph, faster than an F-16 fighter jet. The stunning hypercar was named for the Italian design house’s founder, Battista. Driven more sedately, its 100 kWh battery pack promises 280 miles of range. Porsche defied the naysayers when it launched its original Cayenne SUV and it followed up with the Macan, now its best-selling model. Like so many other luxury brands, it is adapting to a world in which sport-utility vehicles are rapidly taking the place of sports cars, and that means expanding the line-up with a more coupe-like version of the Cayenne. We’ve yet to get official confirmation but the German automaker is widely expected to reveal a new version of its 911 Speedster, the first time that name will have been used since 2011. According to a report by website Carbuzz, the open-top sports car would use a non-turbo version of Porsche’s 4.0-liter inline-six engine to punch out a hefty 500 horsepower. Less than 2,000 copies are expected to be built. With its 5.0-liter supercharged V-8 punching out a hefty 550 horsepower, this new version of Land Rover’s luxurious SUV will be able to hit 60 before you can get its name out of your mouth. To complement the performance upgrade, the Velar SVA features a new grille and bumper vents meant to improve engine breathing, as well as quad tailpipes. There are numerous interior upgrades, as well. Few products are more closely linked with a brand than the Subaru Outback, the original version helping transform the then-struggling automaker into a hip brand and a pioneer in the CUV space. The all-new 2020 version of the Outback will share the same underlying platform as the recently reworked Subaru Legacy sedan. Look for it to feature an upgraded version of the EyeSight driver assistance system. There’s an all-new version of the three-row family hauler coming to this year’s New York Auto Show. It’s adopting a more svelte and stylish shape than the outgoing Highlander, in keeping with Toyota’s overall design shift. Not much has been revealed, but considering the increasing competition, which includes the likes of a new Hyundai Palisade, Toyota is likely to be loading up on new features. Toyota gave us a sneak peek at the new Yaris earlier this month and it adopts a new look and a new platform, under the skin sharing the same underpinnings as the latest-generation Mazda2. The hatchback has a bit more of a crossover feel in its new trim, a move that could help enhance its appeal in a ute-focused market. VW is setting up camp at the 2019 NYIAS, with an assortment of new models, concepts and variants. They’re holding a few secret, for now, but one we’ve learned about is the Atlas Basecamp Concept which offers a hint of what a custom body, lift kit, custom wheels, all-terrain tires, roof rack with bike mounts, and LED light bars might offer for mountain bikers seeking challenging trails. Once written off for dead, the midsize pickup market has been growing exponentially, with an assortment of new entries pumping in fresh blood. Might Volkswagen become the next to give it a go? The Tarok would undercut competitors like the Toyota Tacoma and Jeep Ranger with an even smaller, entry-level offering that, like the Honda Ridgeline, uses a car-based platform. 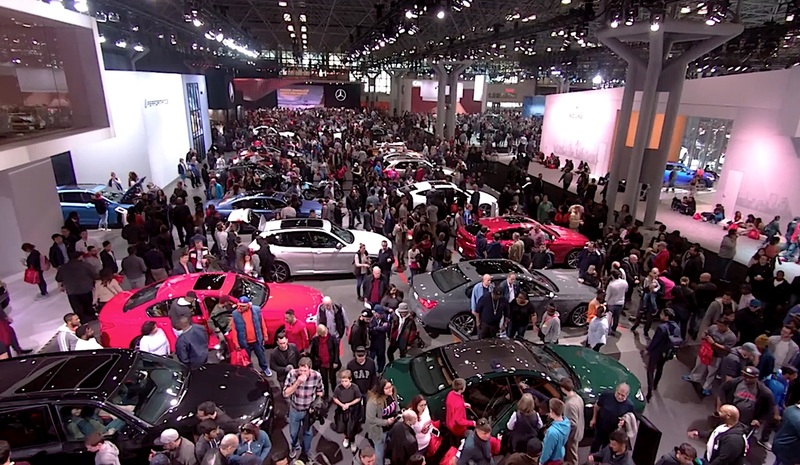 This entry was posted on Monday, April 15th, 2019 at and is filed under Audi, Auto Shows, Automakers, Automobiles, Bugatti, Business, Concept Cars, Coupes, Crossovers/CUVs, Events, Fiat, Genesis, Hyundai, Infiniti, Kia, Koenigsegg, Markets, Mercedes, New York, Nissan, Personalities, Pickups, Porsche, Product Reveals, SUVs, Sales, Sales, Sedans, Technology, Toyota, U.S./North America, Volkswagen. You can follow any responses to this entry through the RSS 2.0 feed. You can leave a response, or trackback from your own site.